WELL, YOUR COMPENSATION PAYMENT FUND $2.7M IS RIGHT NOW WITH THE BELOW BANK IN TEXAS, UNITED STATES OF AMERICA. ENDEAVOUR TO CONTACT HER IMMEDIATELY AND KEEP ME POSTED. 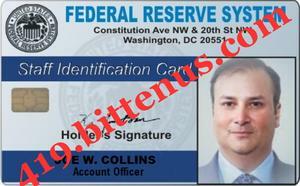 ATTACHED IS MY OFFICIAL IDENTITY CARD. YOUR TIMELY RESPONSE IS HIGHLY APPRECIATED.